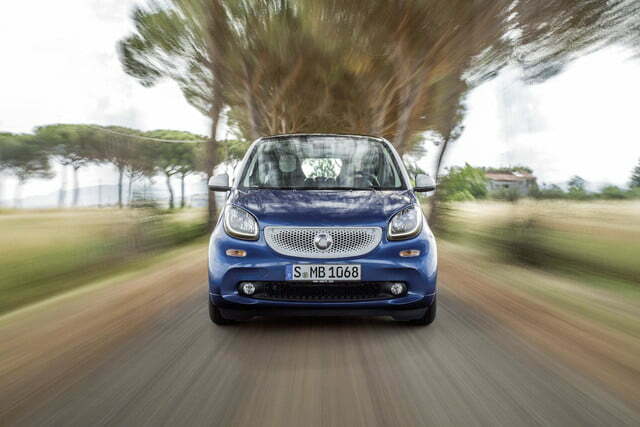 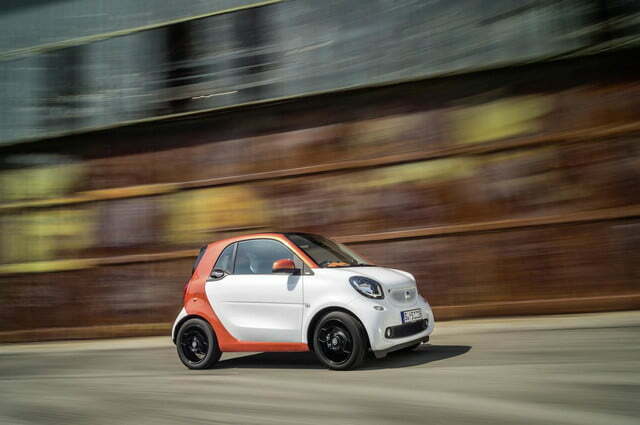 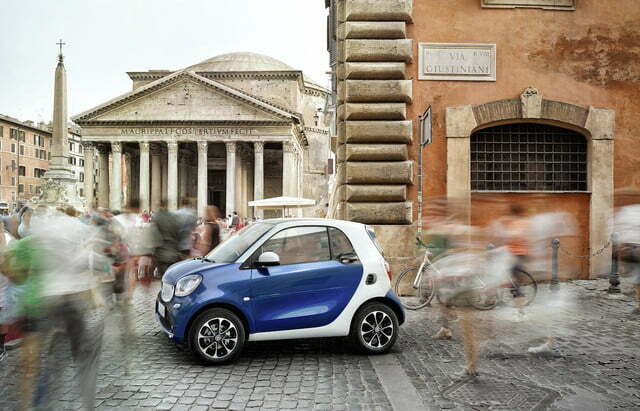 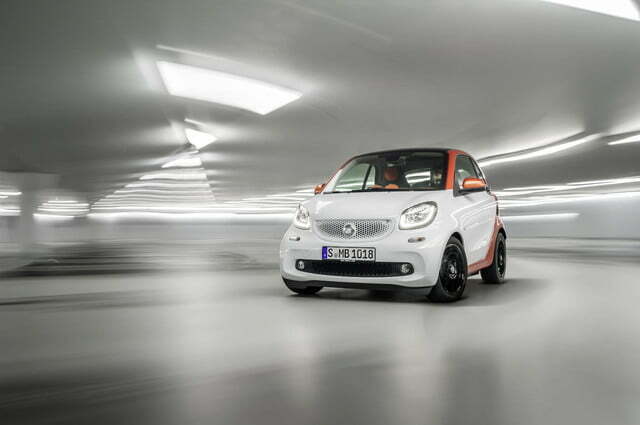 Few cars on the road today are genuinely different from the ones that came before, but the Smart Fortwo certainly is. 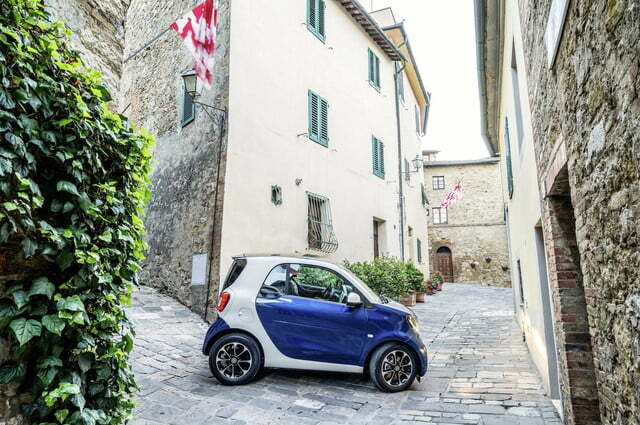 Unfortunately, standing out from the crowd hasn’t made it attractive to buyers. 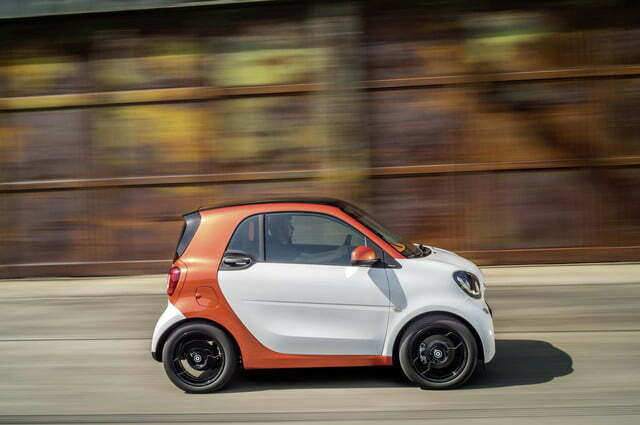 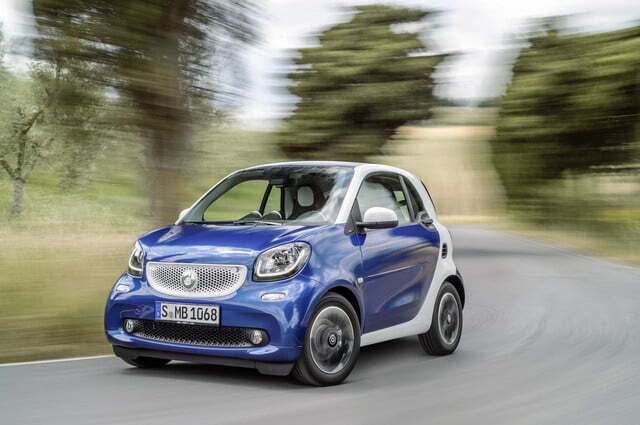 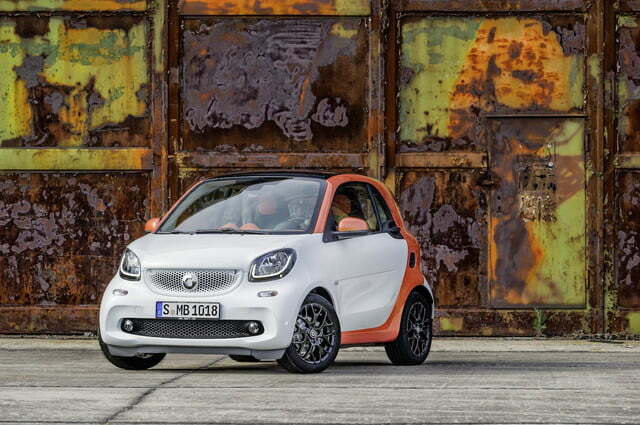 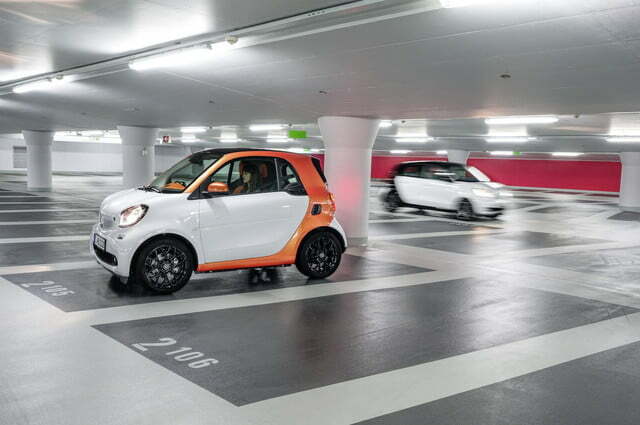 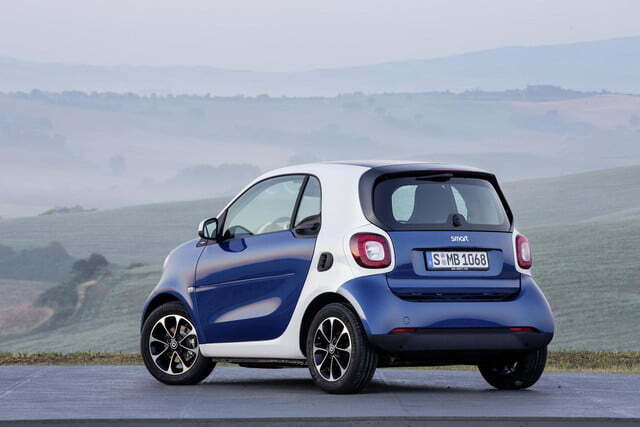 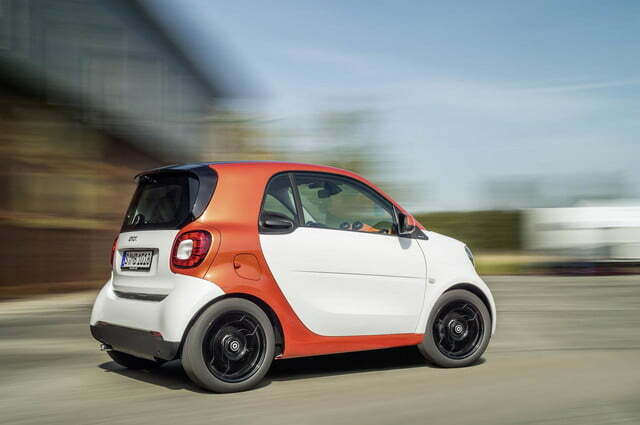 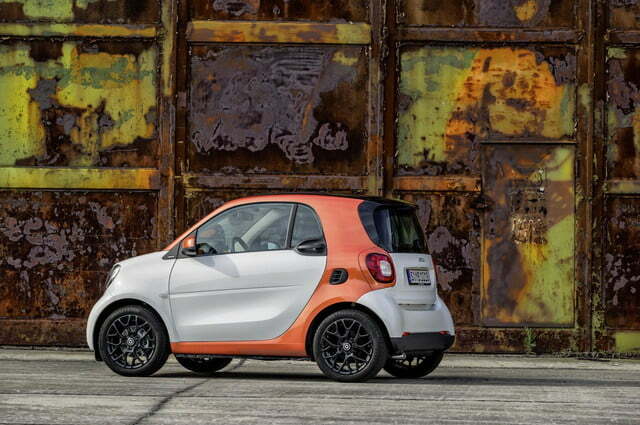 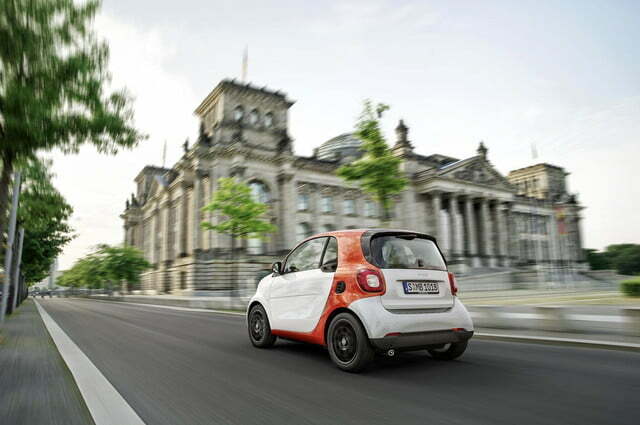 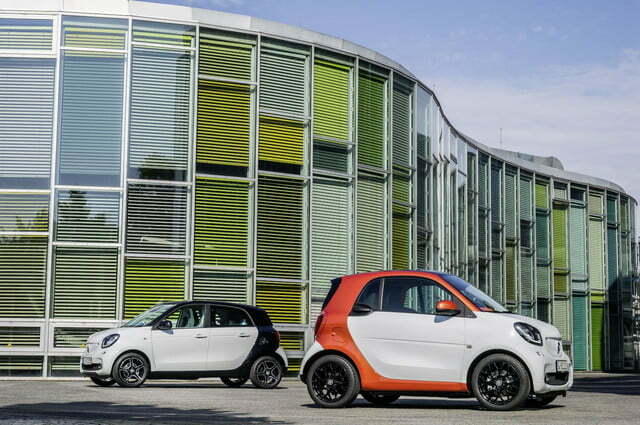 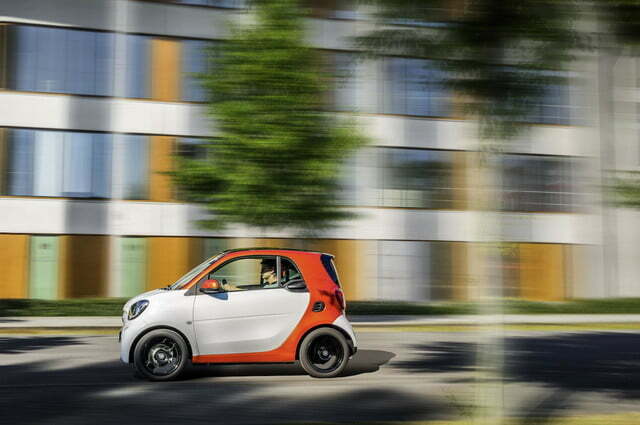 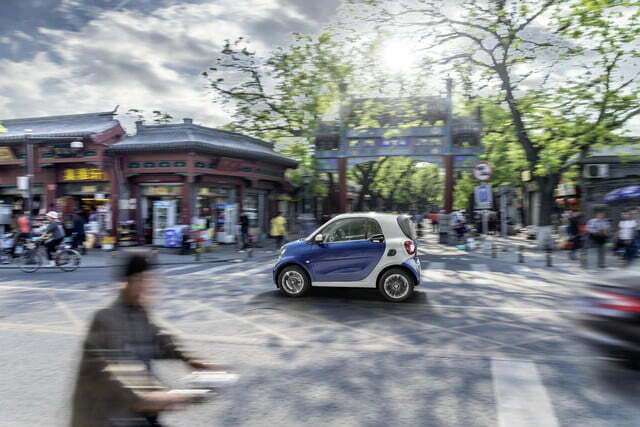 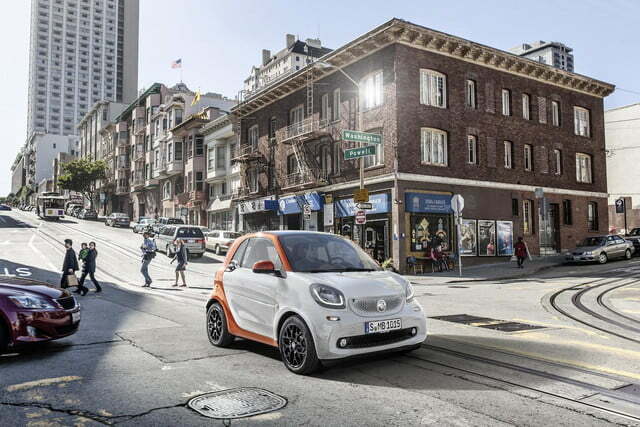 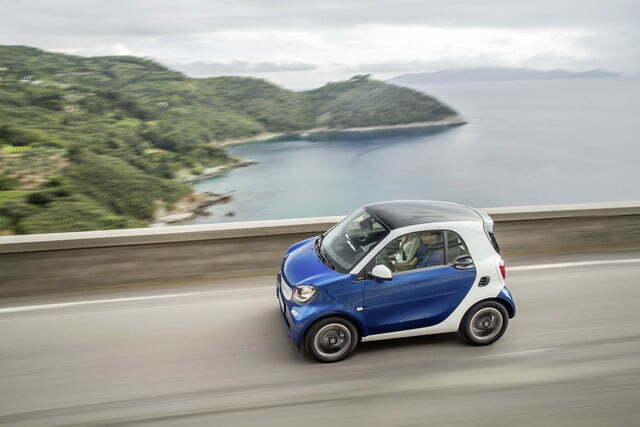 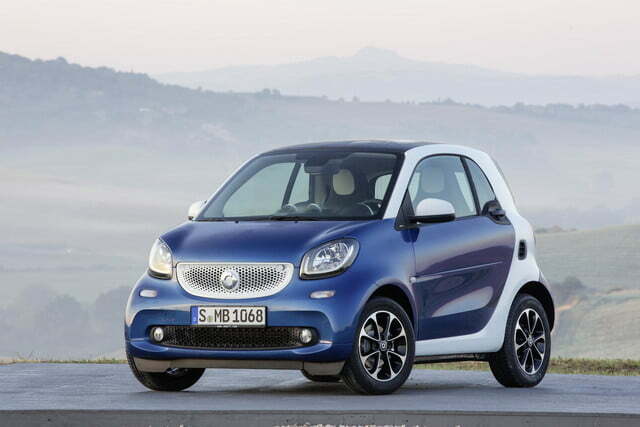 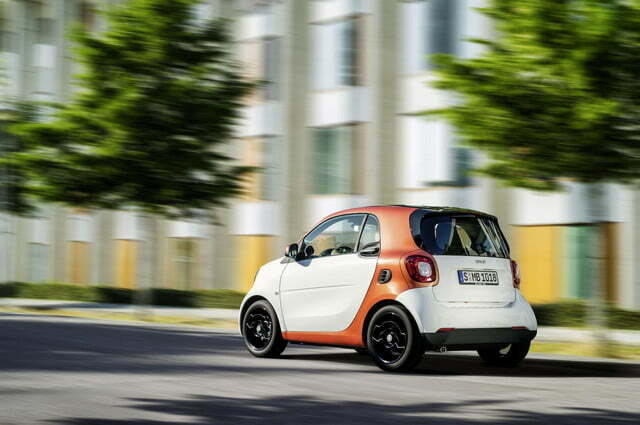 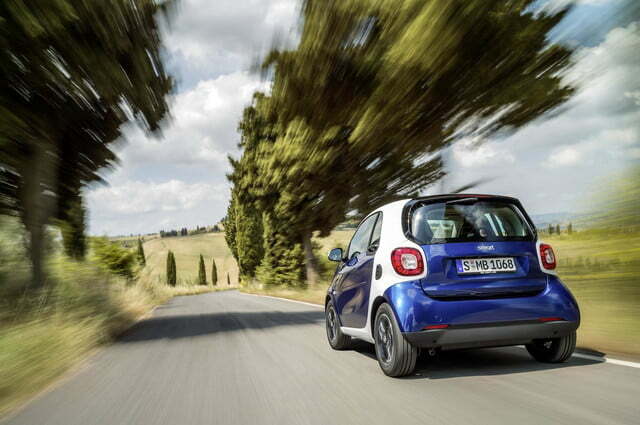 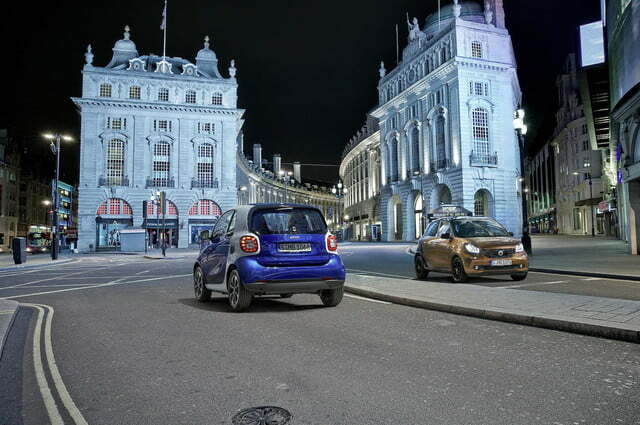 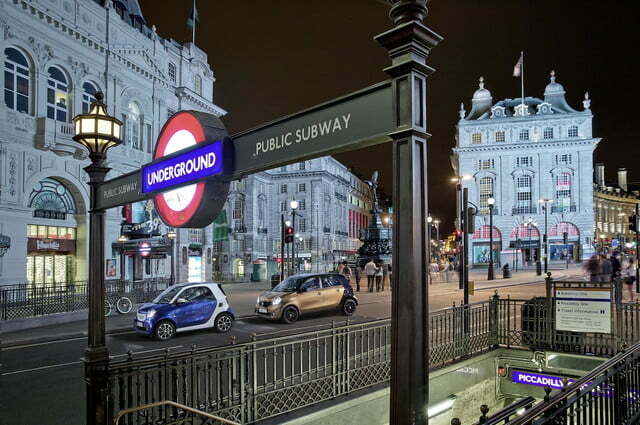 Parent company Daimler hopes to change that with the redesigned 2016 Smart Fortwo, which maintains the current model’s less-is-more philosophy with a few nods to practicality. 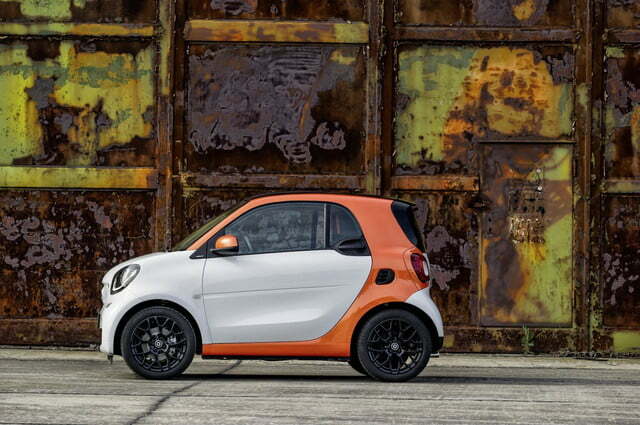 From the outside, it still looks like a Smart. 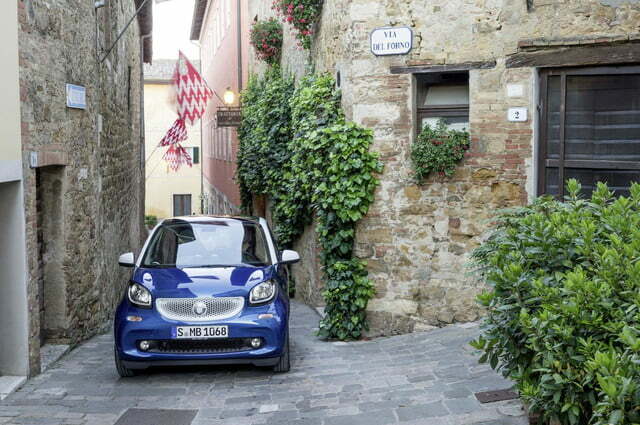 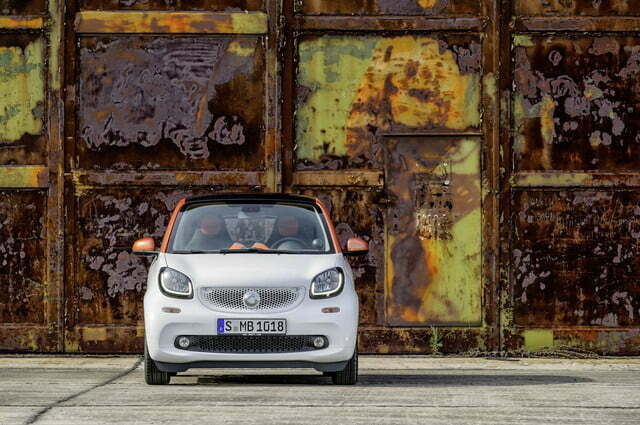 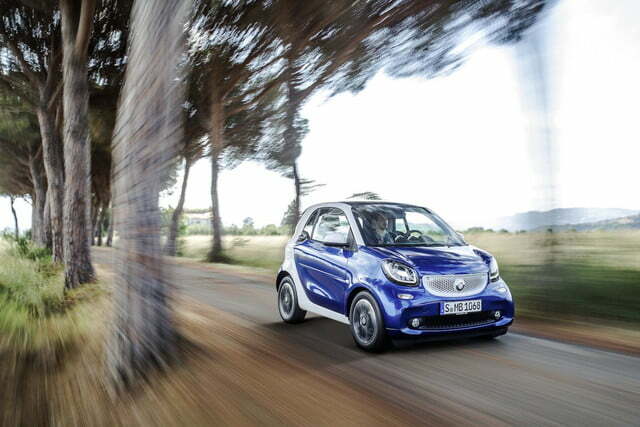 The Fortwo is still impossibly tiny, with short front and rear overhangs. 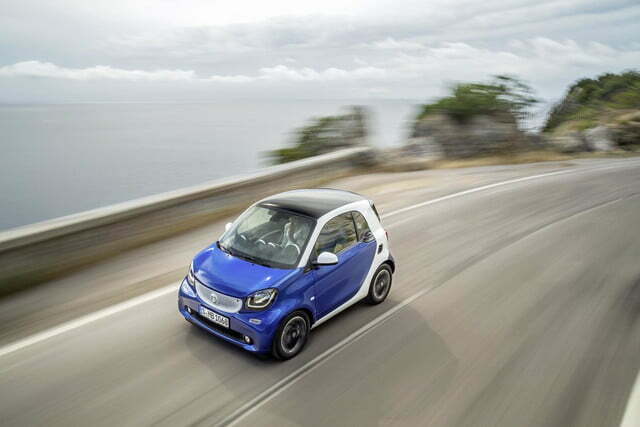 However, the 2016 model sports a more distinct hood line and an actual front grille, part of an attempt to make it look less like a dystopian transportation pod and more like an actual car. 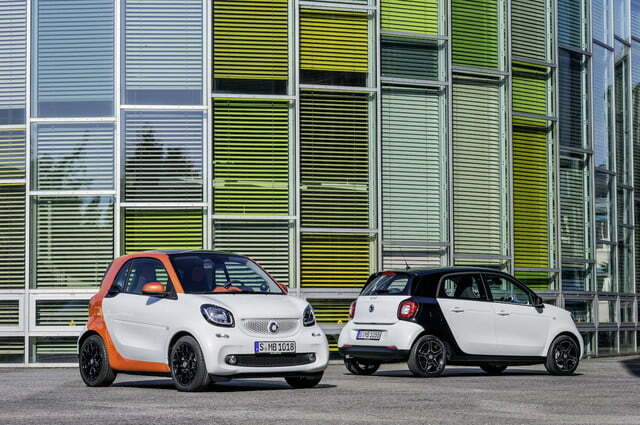 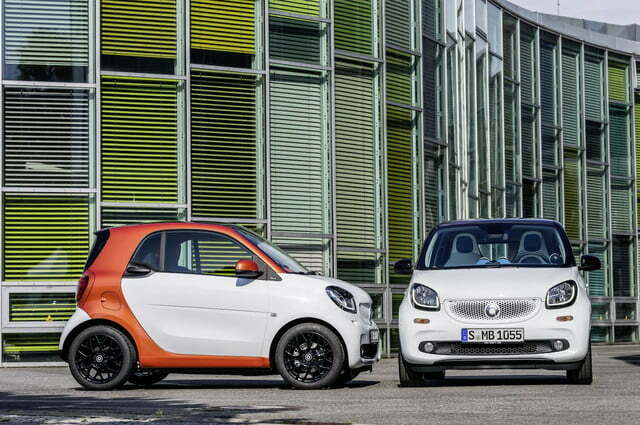 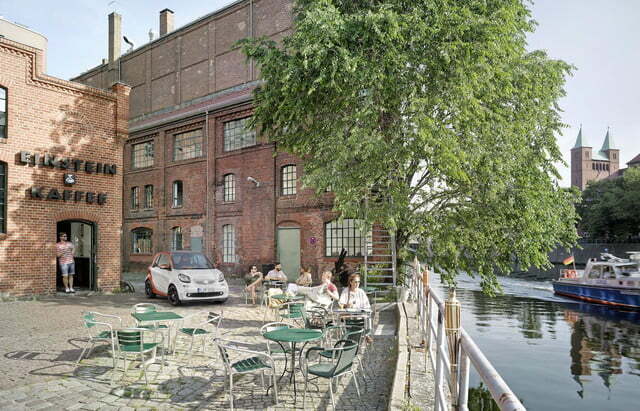 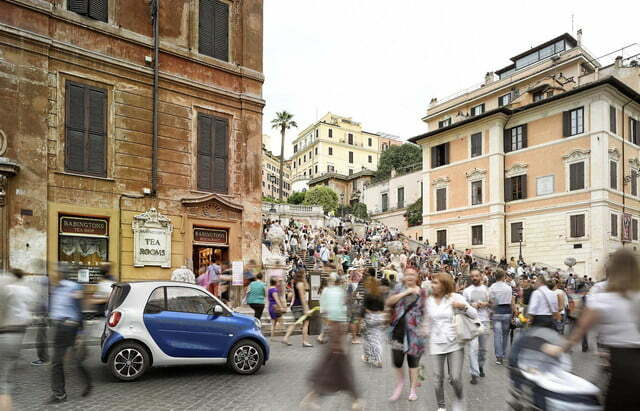 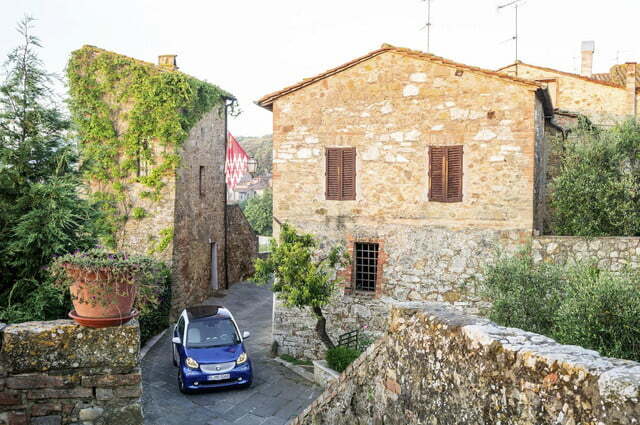 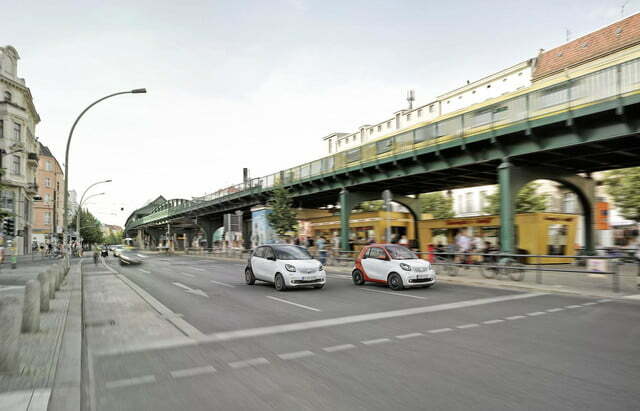 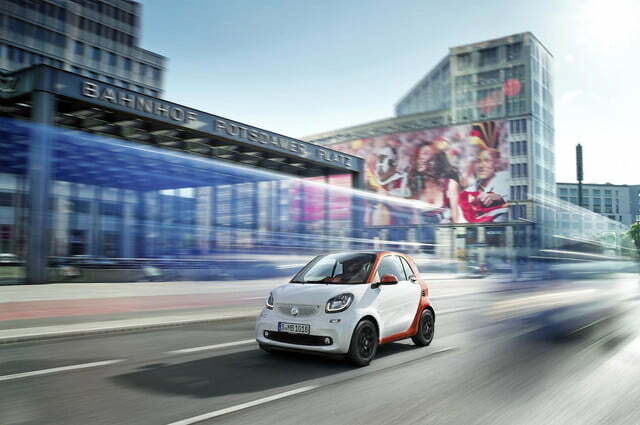 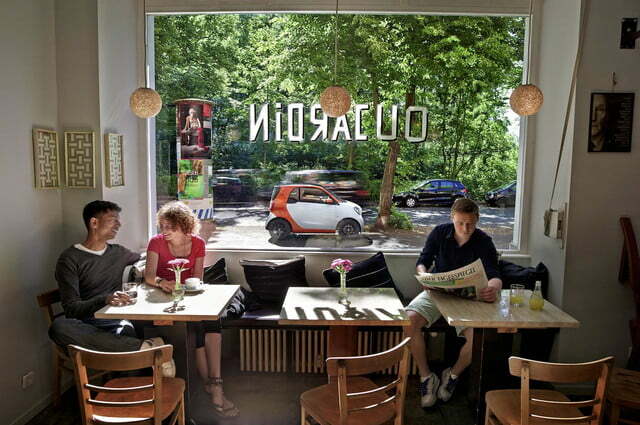 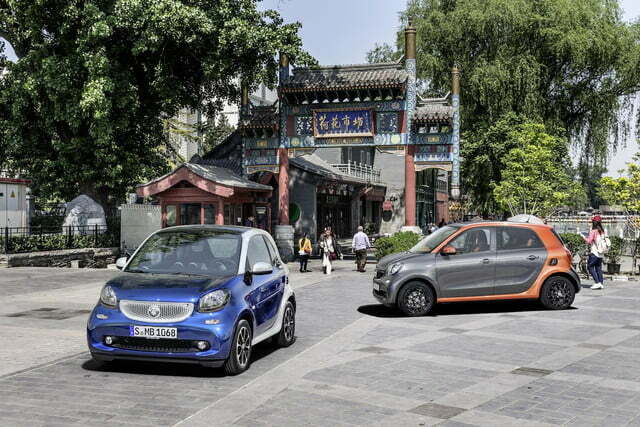 For the first time, the two-seat Fortwo is joined by a four-door Forfour model. While the previous (not sold in the U.S.) Forfour was a mini crossover of sorts, the 2016 model is a stretched version of the two-door Fortwo, in the vein of the MINI Cooper Hardtop 4 door. 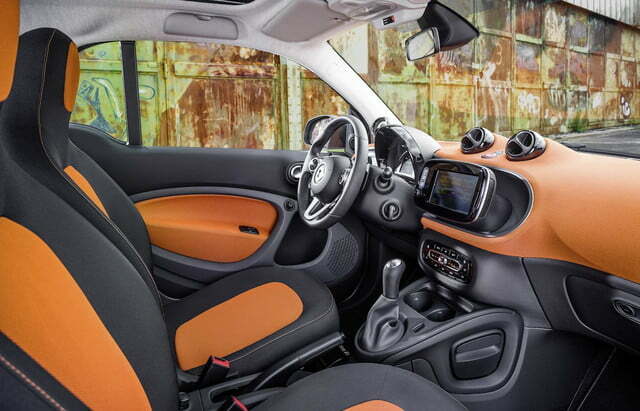 The interior also borrows the look of previous Smart models, with a pair of round vents prominently perched above the dashboard, and plenty of rounded surfaces. It’s a funky design for a funky car. 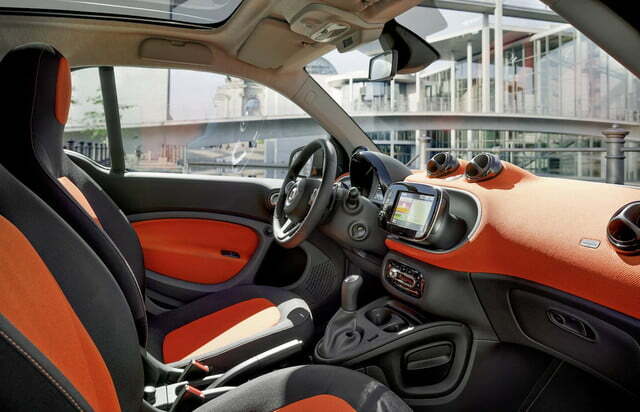 The way the center screen appears non-permanently attached to the dash would normally be something to criticize, but since Mercedes-Benz did the same thing in the more-expensive CLA-Class, we’ll let it slide. 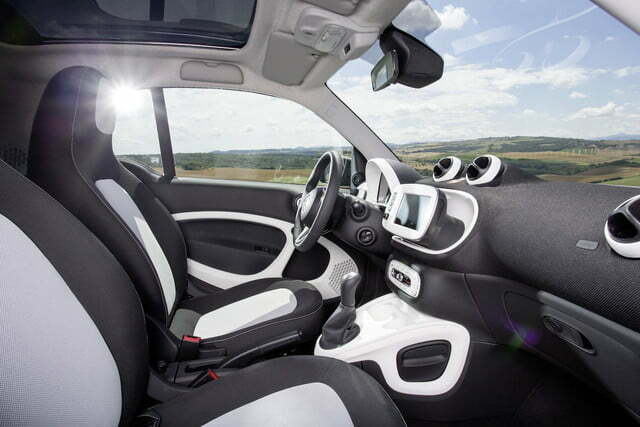 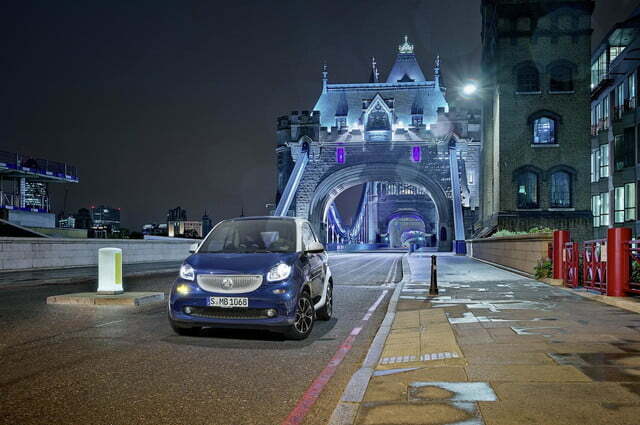 The 2016 Smart Fortwo and Forfour ride on a new chassis shared with the Renault Twingo and maintaining the current car’s rear-engined layout. 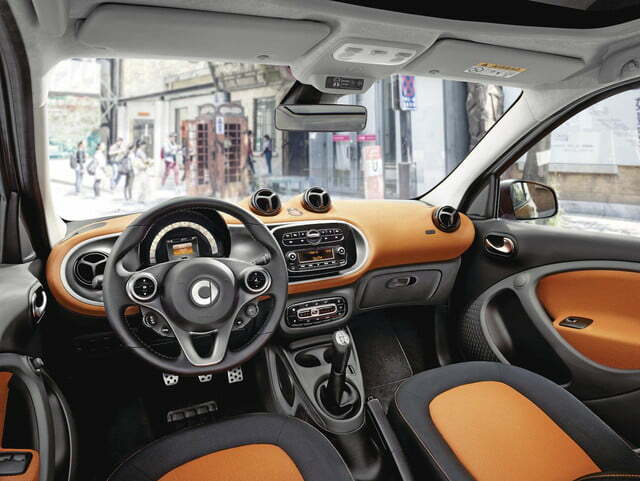 The engines themselves are also new. 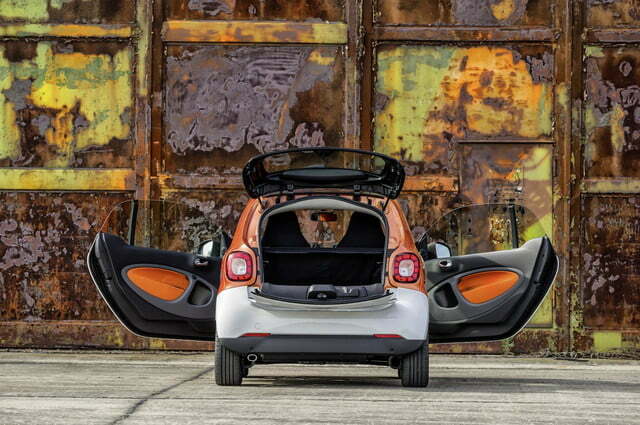 At launch, base 2016 Fortwo models will be offered with a 999 cc three-cylinder engine that produces just 71 horsepower, while an 898 cc turbocharged triple will offer a little more grunt… 90 hp. 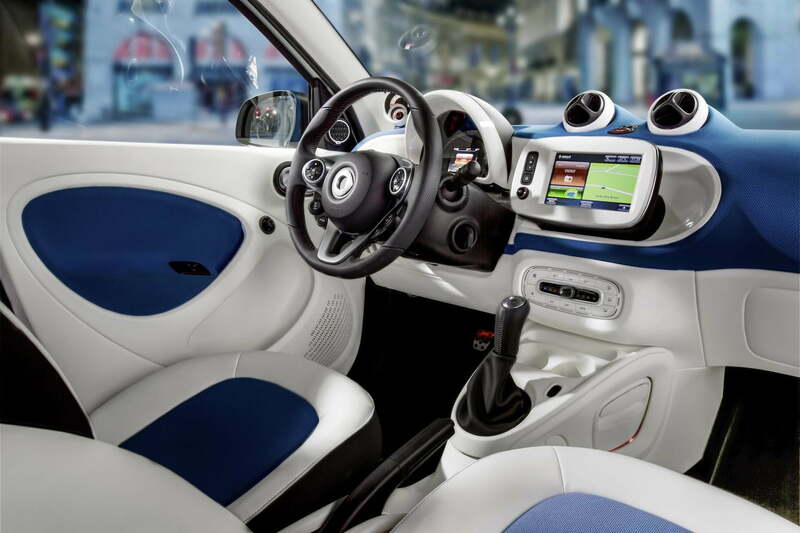 Buyers will be able to choose between five-speed manual and six-speed dual-clutch transmissions, and both engines feature stop-start for added fuel efficiency. Smart has always had trouble convincing buyers that its tiny cars are safe, which is why the 2016 Fortwo is loaded with protective gadgets. 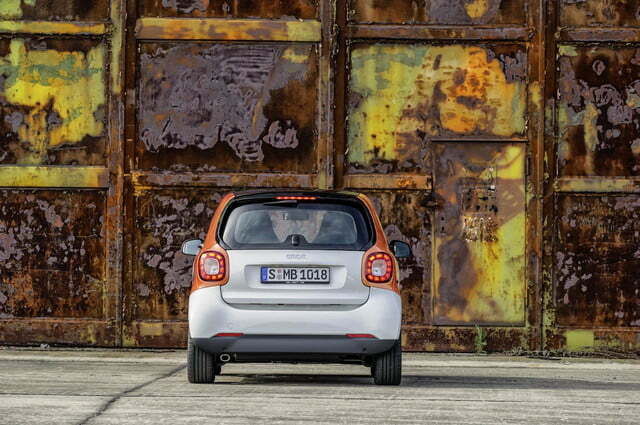 Crosswind Assist is now standard, and will probably come in handy given the car’s tall and narrow shape. 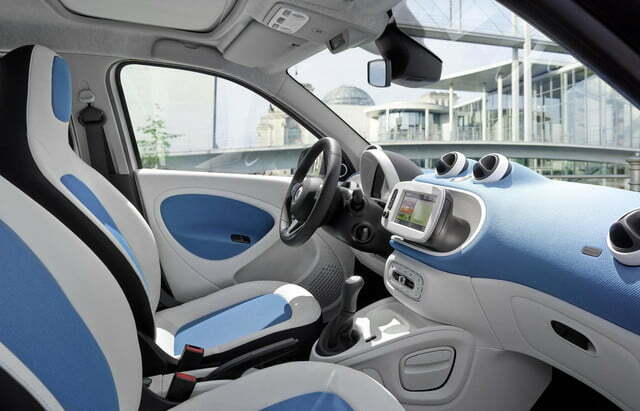 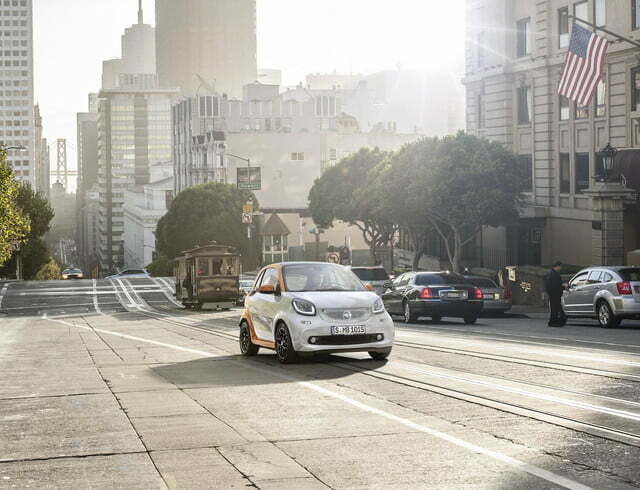 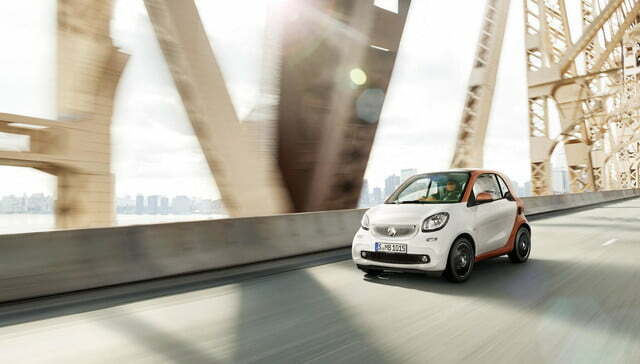 Forward collision warning and lane departure assist are optional, and the Fortwo once again features Smart’s “tridion safety cell” construction. 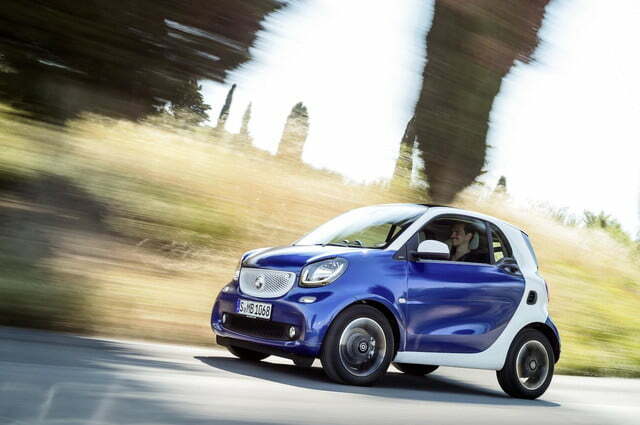 The 2016 Smart Fortwo launches in Europe this November, with prices starting around 11,000 euros, or about $14,874 at current exchange rates. 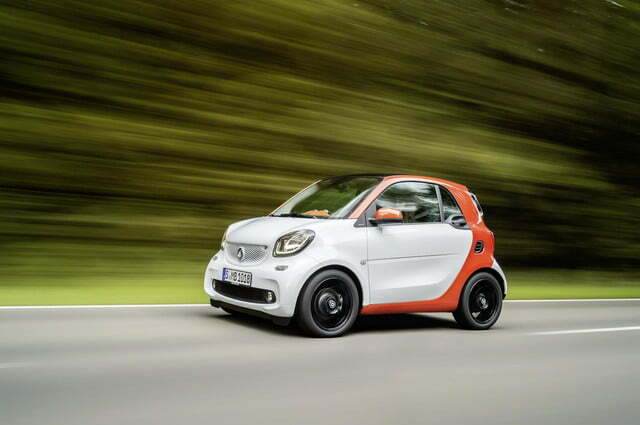 U.S. pricing, final specifications, and fuel economy will be released closer to the car’s trip across the pond.